KABUL -- Afghanistan's government is increasingly utilising technology aimed at simplifying administrative procedures and reducing corruption. "The utilisation of electronic technologies in government agencies has increased over the past three years," said Najib Nangial, a spokesman for the Ministry of Communications and Information Technology (MCIT). "A number of ministries and offices have been equipped with electronic systems and we plan to computerise public services across all government departments," he told Salaam Times. Systems that have been computerised include the human resources information system of all ministries, an employee attendance system, the Ministry of Finance's revenue collection system, the tax payment system, banking affairs, most public office correspondence and electronic passport distribution, he said. "Another feature of e-governance, namely paying salaries of employees of the Ministry of Labour, Social Affairs, Martyrs and Disabled [MoLSAMD], is being done through a so-called m-money service via mobile phones," Nangial said. "The next step is to pay salaries of teachers, as well as of the Afghan National Police and Afghan Local Police forces, through this system." Replacing traditional and obsolete systems with modern e-governance has many advantages and benefits, stakeholders say. "The utilisation of electronic systems in government offices has simplified administrative procedures, increased the speed of service delivery, improved the quality and punctuality of services provided to citizens, and, above all, resulted in a reduction of bureaucracy and corruption," Nangial said. "In the past, the information and specifications of government employees were written on paper," Ahmad Firdaws, an employee of MoLSAMD, told Salaam Times. "Whenever we needed to retrieve information about an employee, we would have to search thousands of pages to find information about him, a process that used to take us hours and even days," he said. "With the electronic information system for human resources in government departments in place, however, we can find out about all the affairs of hundreds of employees in just a few seconds." E-governance has also been seen as a means to fight corruption in government institutions. "In the past, the system of service provision in government institutions was traditional and was causing corruption," Khalil Sarwari, a Kabul-based researcher focusing on government corruption, told Salaam Times. "In the past, when a citizen had to go to a government agency to get his work done, he had no choice but to pay a ... bribe in order to get his application signed," he said. "With the computerisation of public service delivery systems, however, bureaucracy will disappear and corruption will shrink." "The only way to prevent corruption is to provide quick service and transparency in government performance and to implement electronic governance in all public institutions," Sarwari said. "At the same time, more jobs will become available for more knowledgeable, professional individuals." "In addition to preventing corruption and bribery, the computerisation of systems in government offices will mean completion of citizens' requests in a timely fashion," Faisal Joyan, 23, a Karwan University student in Kabul, told Salaam Times. "Moreover, it saves time for government employees as well as for citizens." 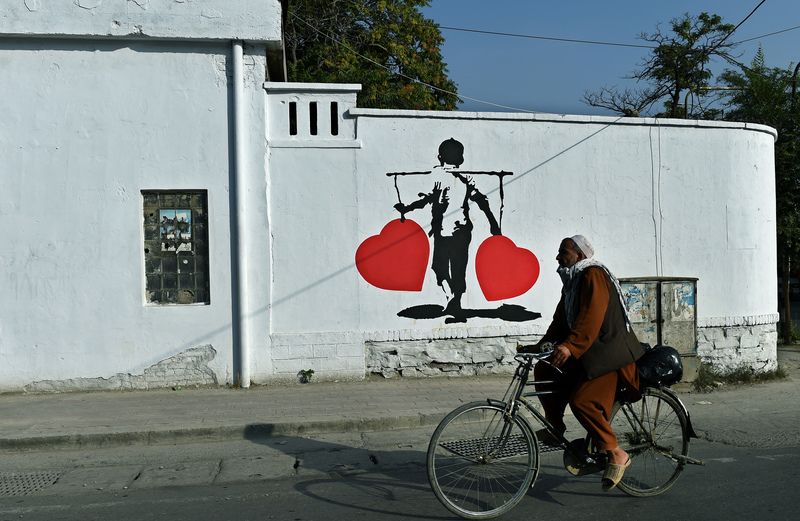 "One of the benefits of digitalisation and computerisation of [governance systems] is the elimination of forgery," Ramazan Sakhizada, 31, a resident of Mazar-e-Sharif, told Salaam Times. "In the past, citizens of neighbouring countries could easily travel across our country after receiving fake identification cards and documents and could even carry out terrorist activities," he said. "With the distribution of electronic IDs and passports, however, this phenomenon will disappear." 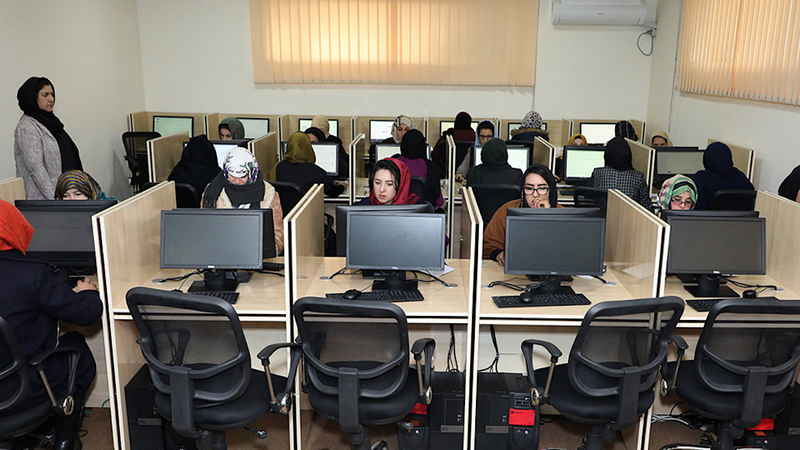 The benefits of e-governance can be seen by Afghans searching for jobs online. "The other plan of e-governance is the implementation of the Asan Wazifa [easy employment] project," said Abdul Fatah Ashrat Ahmadzai, a spokesman for MoLSAMD. "The Ministry of Labour soon will begin providing citizens with online employment services," he told Salaam Times. "Through this project, Afghans from all over the country can fill out job application forms. They will include all their specifications, such as their academic degree, specialty and their experience on the [application] form." "These forms are registered in the ministry's database," he said. "We have signed a memorandum of understanding with all government and private departments, according to which we will provide employees to every government or private entity that needs them through our Asan Wazifa project." "In the past, we faced numerous issues concerning work permit issuance, namely, corruption and bribery," Ahmadzai said. 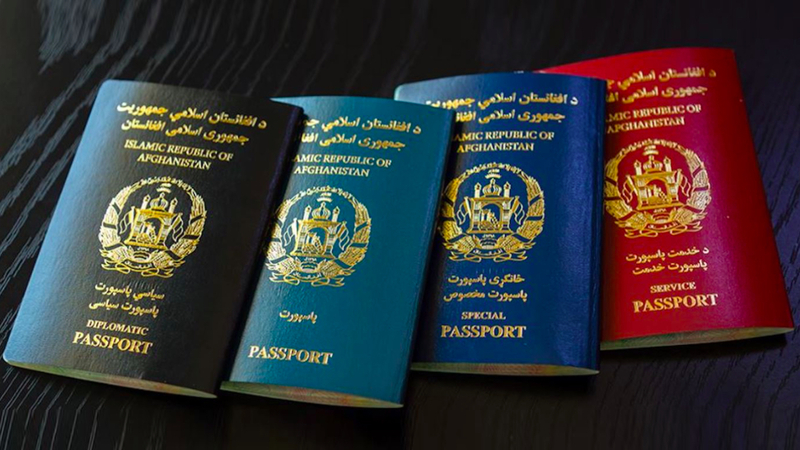 "Providing e-government services, however, has made work permit issuance available online for both Afghan and foreign nationals." "Whenever people want to obtain a work permit, they can fill out a form online, and by the time they arrive at the ministry, the requested license will be prepared and will be handed to them," he said. "This way, opportunities for corruption will be eliminated." Asan Wazifa is part of the Afghan government's Asan Khedmat website and service centres. The service centres are aimed at providing a "one-stop shop" for numerous public services and bring a number of ministries and departments under one roof. Local governments are taking advantage of e-governance systems. "Eight administrative processes within Kabul Municipality have been computerised," said Jalil Sultani, a spokesman for the municipality. "Some of these processes, including the building permit system, had previously caused bureaucratic corruption within the municipality," he told Salaam Times. "With the introduction of this new system, corruption has declined while the speed of public services has increased." "We are planning to computerise documents like drivers' licenses, drivers' permits and traffic violation tickets," he said. "Moreover, we have computerised property registration processes in public database services, and so far 200,000 properties have been registered." "Employees' time sheets, which were previously done on paper, are now done electronically and biometrically," Sultani said. Kabul Municipality also is working to map the city using street names and building numbers. "To date, houses and alleys in seven Kabul districts have been assigned numbers and the numbering of other districts and areas is under way," added Sultani. "Once it's completed, Kabul residents will be able to find addresses easily ... using smartphones and Google Maps or GPS [Global Positioning System]."